DO YOU HAVE QUESTIONS ABOUT ORGANIC TRANSITION, PRODUCTION, OR MARKETING? 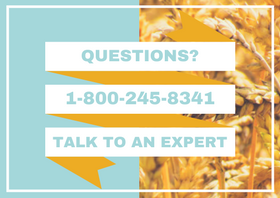 Organic experts are available, at no charge, to answer your questions on organic grain and field crop certification, agronomy, marketing, grain quality, transitioning to organic production, and everything in between. Click here to view our frequently asked questions.